Latex gloves tend to be the most common type of gardening glove available, but what happens if you suffer from an allergy to the material? 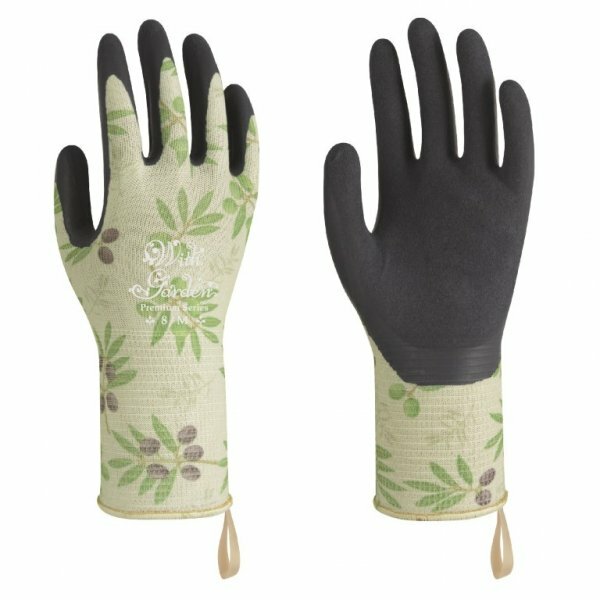 The WithGarden Luminus 508 Premium Nitrile Olive Patterned Gardening Gloves are made with nitrile instead of latex to help prevent reactions. This material protects your hands from soil and water while also improving your grip in adverse conditions. As a result of MicroFinish technology, these gloves provide outstanding grip in wet and dry conditions. This helps ensure you're able to complete your work as efficiently as possible. To find out more about this technology, watch the short video below! The Nitrile Olive Patterned Gloves are available in three sizes to fit most hands. Please measure the circumference of your hand around the knuckles (excluding your thumb) with your palm open and your fingers together. Next, measure the length of your hand from the tip of your middle finger to your wrist.